Shenzhen city is in the news again. Hundreds of its urban villages are being redeveloped, with the aid of private development companies. Officially termed as an upgrade, the process seems to be more of developer-induced gentrification. It predictably involves a gradual displacement of residents who now find themselves having fewer affordable options to live in. According to estimates nearly half of the city’s workers live in habitats officially called urban villages, either as traditional residents or newcomers. These spaces always had freer rules and allowed for a greater flexibility of building typologies. Which meant more people could be absorbed into a locally managed rental economy. In 1979, the city had a population of around 30,000. Today it is nearly 13 million. One can imagine the significance of what urban villages mean to this, one of the youngest and largest cities in the world. While the modern city grew around them, with its straight highways and slick skyscrapers, fuelled by a prosperous economy, the urban villages themselves became small havens of traditional Asian urbanity. They were relatively chaotic, lively zones, with shops and streets, where the workers who made the global city, could continue living their lives. In visual terms one could say they were like tiny fragments of Hong Kong — the older city that Shenzhen was distancing itself from and wanted to overshadow. In many ways Shenzhen was to be what Hong Kong traditionally was not. Shenzhen’s rebooting as the nerve centre of China’s first special economic zone was accompanied by the production of spectacular infrastructure on a scale that completely overwhelmed the smaller, space-crunched port city. Come to think of it, even Manhattan is dwarfed in front of it. China’s citizens have traditionally been encouraged to stay in the regions they are ancestrally connected to, with movement between spaces being heavily regulated. In reality though, the same two things happened here, like they do in any growing economy. People move for work and cities expand for space and resources. What happens when political expectations clash with economic reality? You have a floating population who don’t fully belong to the places they have migrated to. Many people in Shenzhen’s urban villages have not managed to complete the official paper work needed to make their shifts completely formal. They are the ones most affected by the new urban upgrades underway. The urban villages were once simply villages, which existed in and around the old railway town of Shenzhen and became absorbed into the city’s fabric as it grew. So far, they showed how it was perfectly possible for the old and new to co-exist, something which a city such as Tokyo in Japan has done, more seamlessly. The same cannot be said of China and India who seem to be keener to aspire to external appearances of what modern cities must be. Rather than accept the template of their urbanity. 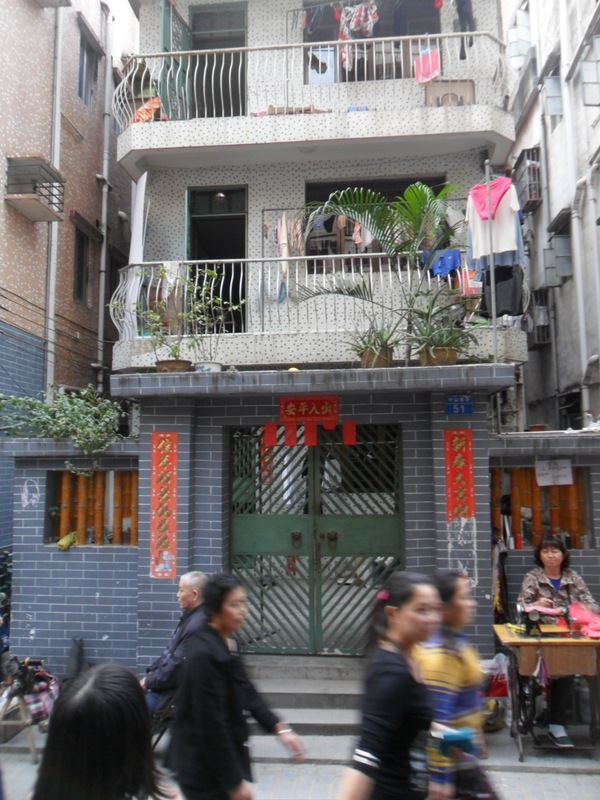 Ching, a student with ancestral connections to ShiYan, an urban village in Shenzhen, told us how her own house was a typical structure doing multiple businesses at different times. It also simultaneously provided shelter to her extended family. 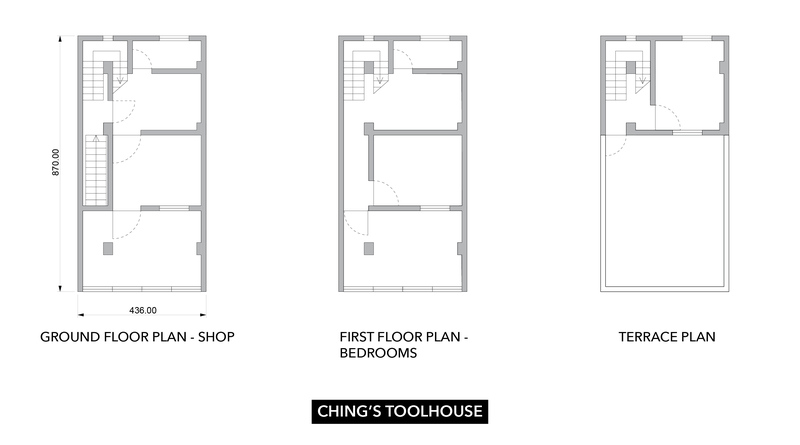 Such tool-houses are characteristic of several Asian cities, including India, and shape the character of the neighbourhood. They are vibrant, economically productive spaces that sustain its communities. Ching’s tool-house has a shrine dedicated to her ancestor, who originally built the structure. Even now, her grandmother receives gifts from the neighbourhood that are meant to honour his contributions. All these years Shenzhen managed to grow and be aspirational, without interfering with these anachronisms. It showed it is perfectly possible for different urban configurations to co-exist within the shared fabric of a city — an entity made up of millions of such ancestral spirits. There is little reason for an upgrade to mean an obliteration of their abodes and memories. This article was first published in The Hindu Sunday Magazine on September 1st, 2018. Narrow street in an urban village in Shenzhen. View from Ching's house in ShiYan village. The photo clearly shows how the older, traditional looking houses have been extended and crowded by new buildings, which are now rising to multiple levels. Urban villages exist throughout Asia. 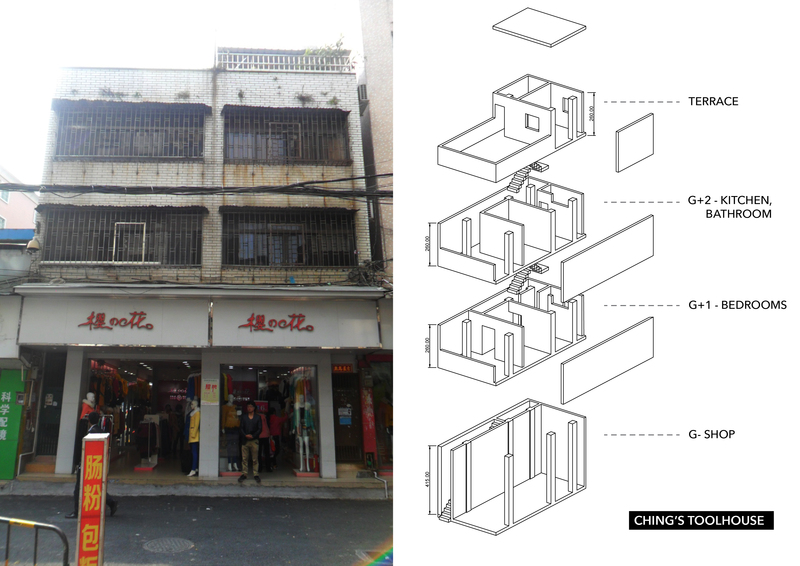 They share common characteristics: They are usually unplanned, low-rise, high density and mixed use. 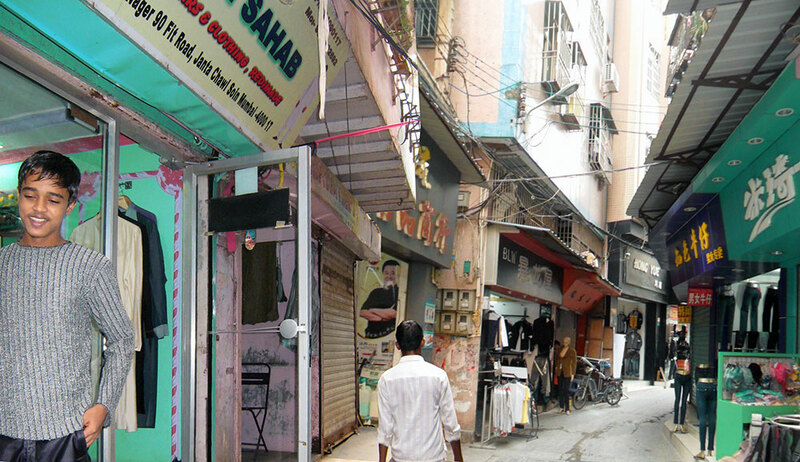 This image is a collage of Dharavi in Mumbai (left) and Shi Yan in Shenzhen (right). The importance of looking beyond abstractions and addressing what exists.